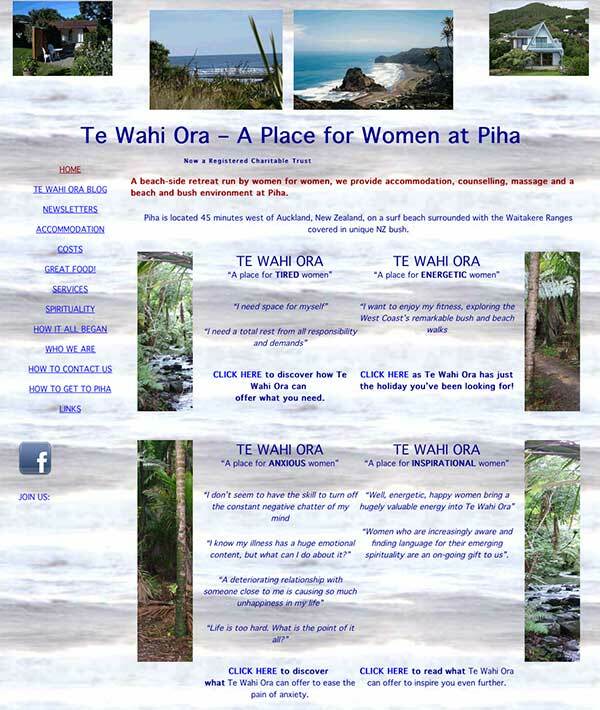 Now that Te Wahi Ora Women’s Retreat is a Charitable Trust we decided it was time to retire the old, yet faithful, website. www.tewahiora.co.nz has been given a much needed update however we are still promoting our well established facilities, services and continued support for women. The new website is hopefully more phone and tablet friendly. We have proof read it and proofed it again… but some pesky typos may still have slipped through. Any comments on the new site or content would be most welcome. Typos and grammar fumbles? Links that don’t go anywhere? Please do let us know so we can attend to it. Positive comments are also welcome! If you are reading this… Thank you for visiting the new Te Wahi Ora website!